All Saddlehorn homes currently listed for sale in Boerne as of 04/20/2019 are shown below. You can change the search criteria at any time by pressing the 'Change Search' button below. "Owners pride this magnificent 1.5 Story home is ready for new family, sitting on a quiet cul de sac. 3 Bedroom 3 full bath, upstairs large game room/media room with full bath great for entertaining guests, some upgrades include amazing wood floors and countertops, custom dark cabinets really great floor plan, Master bedroom features a very nice master bath with large closet and double vanities.Boerne schools." "Great Home! Great Location! Great Price! Tons of Upgrades! (see attached list in additional items). 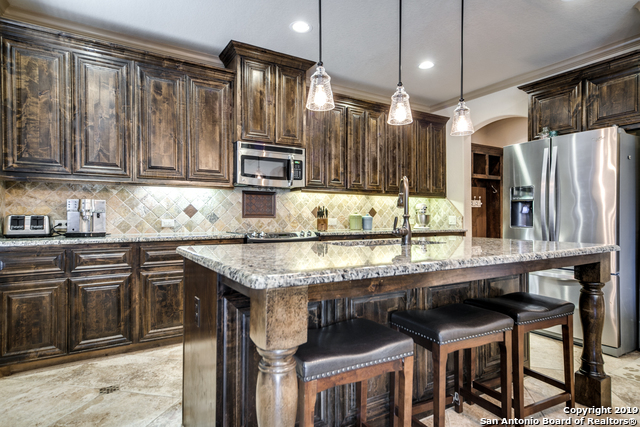 Beautiful granite countertops and tile floors in an amazing chef's kitchen! Gorgeous wood look laminate floors in the living/dining and family room. Conveniently located in town and in Boerne ISD! Your new home is on an over-sized, cul-de-sac lot with room for gardening or a kid's play area. Back patio has oversized flagstone patio and includes a Home Warranty! Don't miss out!!!"